The National Association of Educational Progress administers standardized assessments to students across the United States every two years. The test assesses students’ knowledge and skills in math and reading. NAEP scores are valuable indicators of student performance compared to schools within Kentucky and across the nation. 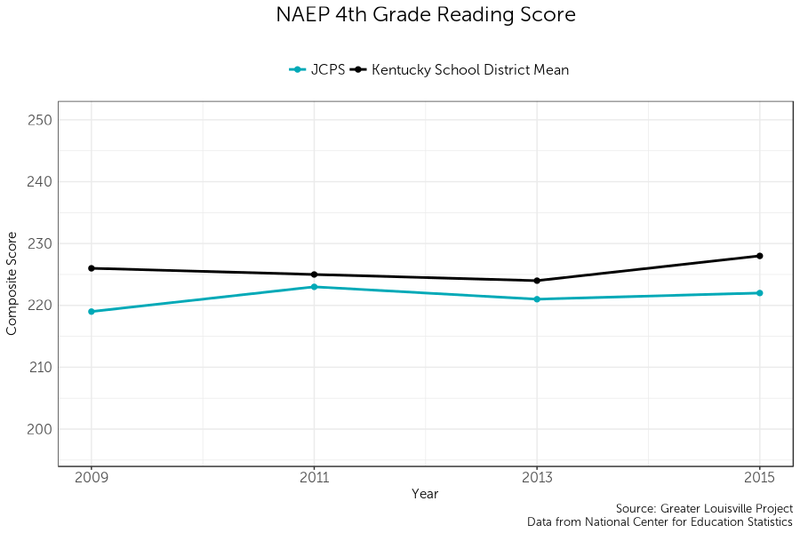 The average scores for students in both JCPS and other districts in Kentucky have remained fairly constant since 2012, with Louisville’s scores averaging slightly below the statewide average. According to the NAEP, the average JCPS score is above the basic level but below proficiency. The reading exam given to 4th graders is out of 500 points.